Dr. Beheruz N. Sethna, the longest-serving university president in the state of Georgia, announced his retirement to the community on June 30, 2012. 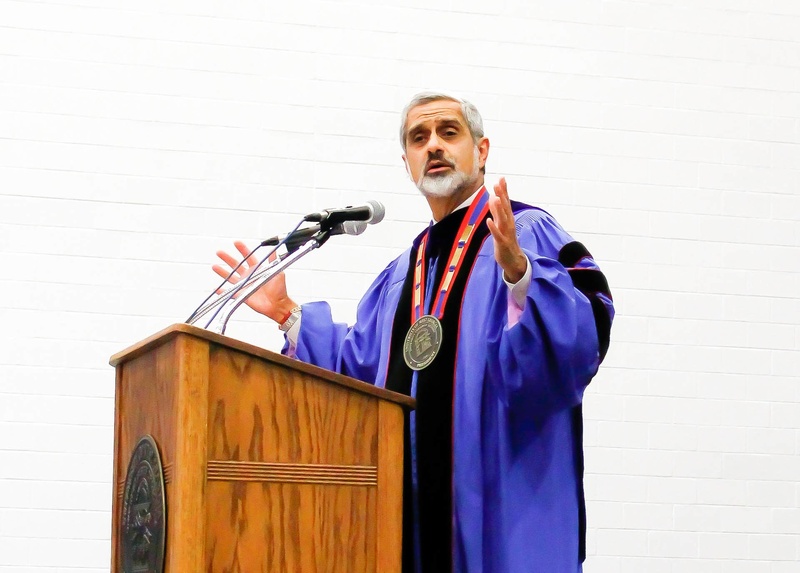 “It has been my honor to lead UWG through this stage of its life, but I believe it is time to pass the torch of leadership,” said Sethna, who will have served his nineteenth year as a professor of business and president of the university once he retires on June 30, 2013. Sethna mentioned that when he arrived in 1994, the university lacked vision. He further commented that good things were happening at the time, but that the university was not performing well on regional and statewide stages. Increased its endowment to about ten times the 1994 level. Sethna also served twice as Interim Executive/Senior Vice Chancellor for the University System of Georgia in both 1999-2000 and 2006-2007 with responsibility for Academic Affairs, Student Affairs, Instructional/Informational Technology and Planning for 35 Research and Comprehensive Universities and Access Institutions. He also additionally had line responsibility with the president of all 15 Comprehensive Universities reporting to him, accounting for about 40 percent of the public sector student enrollment in the entire state of Georgia. Along with Sethna’s institutional accomplishments, he also contributed to the community. Sethna has invited members of the community to sit in his office when bringing in revenue and jobs to the city of Carrollton. Carrollton mayor, Wayne Garner, and Sethna have met every week since Sethna’s appointment in 1994. Sethna has immeasurably impacted the students of UWG. Both current students and alumni see Sethna as an “approachable” figure. He has often spotted riding the bus with students, eating lunch with students at the Z-6, helping incoming freshmen move into their dorms on move-in day or teaching an undergraduate business administration courses. Sethna states that his passion lies within the students at UWG. Sethna’s work experience prior to his time at UWG includes 13 years at Clarkson University in Potsdam, N.Y., and 5 years at Lamar University in Beaumont, Tex. He held tenured positions at both institutions and a named professorship at Lamar. Sethna also has significant corporate experience having worked in major multinational companies in the U.S. and overseas. Sethna’s educational credentials include a bachelor’s degree in Electrical Engineering from the Indian Institute of Technology-Bombay, an MBA from the Indian Institute of Management—Ahmedabad, an M.Phil. and Ph.D. from Columbia University in New York and participation in post-doctoral programs at Harvard and Indiana. He is a Distinguished Alumnus of both IIT-Bombay and IIM-Ahmedabad, which are known as the best undergraduate and graduate schools in India. He is also a Certified Computer Professional and a certified Six Sigma Green Belt. Sethna has been an invited speaker at over a hundred service club sessions and meetings, and at universities in many U.S. states and foreign countries, including the University of Oxford in England. He has also been the keynote speaker at various corporate forums. He has received Resolutions of Commendation from the Senate of the State of Georgia and the Board of Regents, and has been named among the 100 Most Influential Georgians five times: 2003, 2006, 2009, 2010, 2011 and 2012. He has also received the prestigious Cornerstone Award from the Board of Regents of the University System of Georgia. Sethna has published one book and an astounding 69 papers (including journal articles and proceedings), several case studies and obtained externally funded research from the U.S. Department of Energy, IBM, AT&T and others. These all include only personal faculty research, not successful grants as President of UWG. Only thirty of the publications have been after becoming President of UWG. Sethna is the first known person of Indian origin ever to become president of a university anywhere in America. He is also the first person of any ethnic minority to become president of a college or university in Georgia, other than a Historically Black one. Sethna has been married for more than 38 years to Dr. Madhavi Sethna, a faculty member who has earned her MBA, MA, MS, and an Ed.D. They have two children: Anita Sethna, MD, a Facial Plastics and Board-certified ENT surgeon who heads Emory Facial Center, and is a graduate of Georgia Tech and Emory Medical School; and Shaun Sethna, JD, the head of the intellectual property department for a technology and financial services company in Houston, who is a graduate of Georgia Tech and Columbia University Law School.